Disneyland compared to Disney World. Which one do we like better? 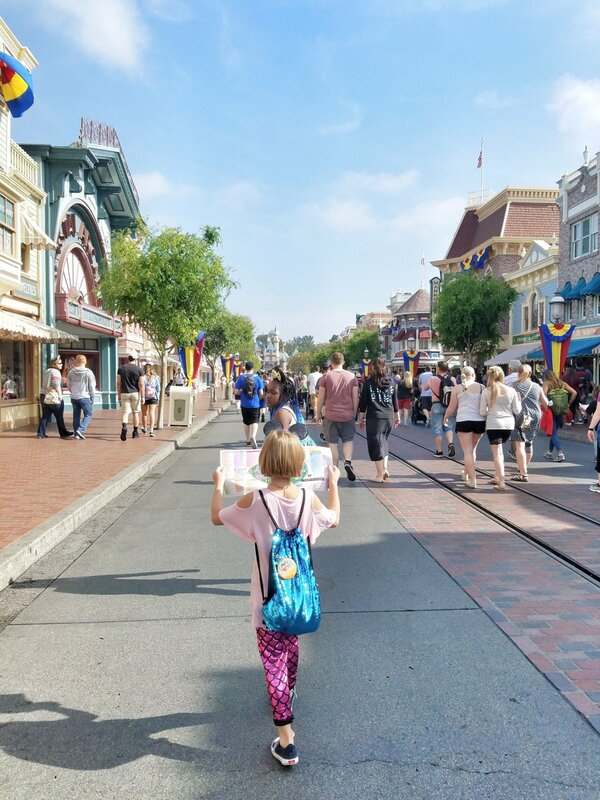 Home » Blog » Disneyland Vs. Disneyworld: Which Do We Like Better? 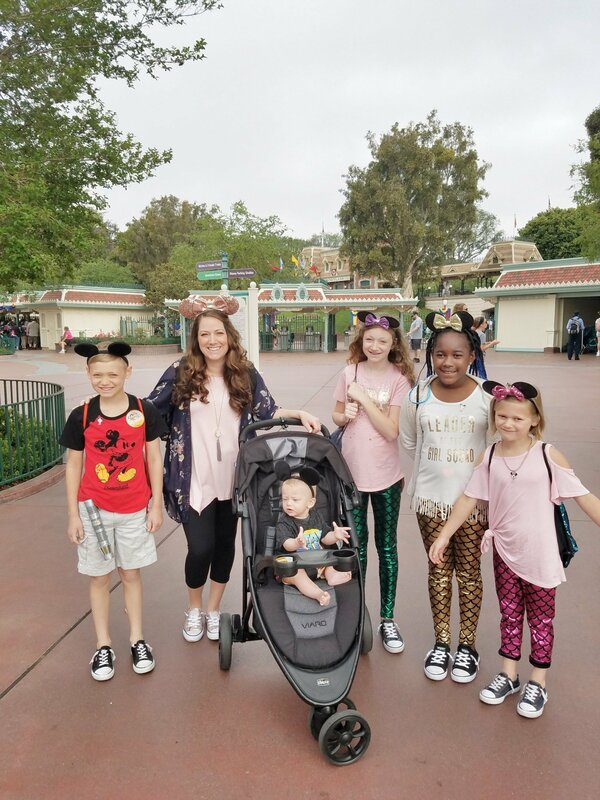 We had the privilege of experiencing Disneyland for the first time ever, last month! 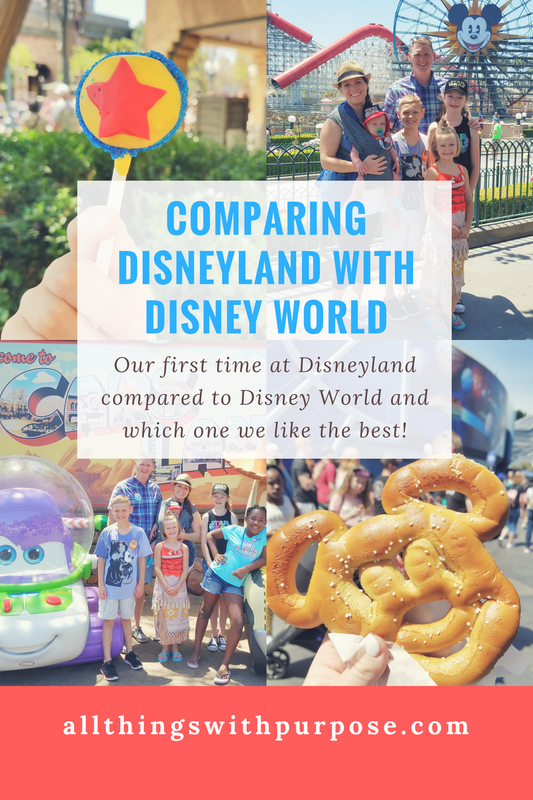 Having grown up visiting Disney World, I was really interested to compare the two. 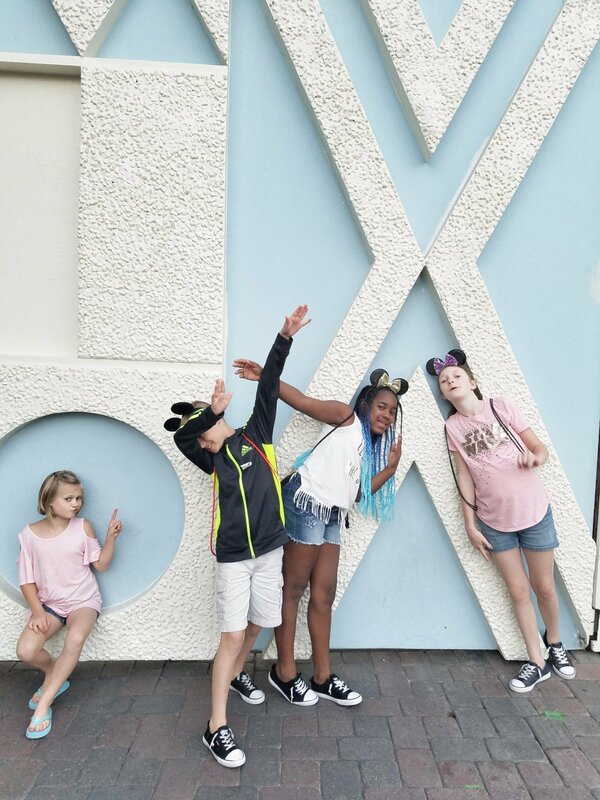 We went into our time at Disneyland almost completely winging it. It felt weird being such newbies without a plan, but I wanted to dive in with no preconceived ideas. a lot of people have asked which one we like better. Well, I’m here to share AALLLLL the thoughts we had! The entrances to Disneyland, California Adventure and Downtown Disney are literally right next to each other. This makes a park hopping easier, without skipping a beat. 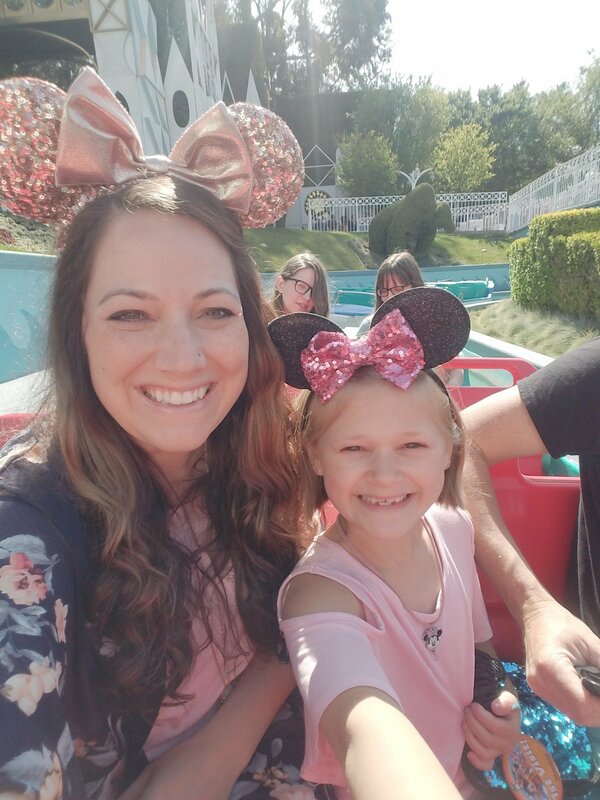 Disneyland is laid out almost exactly like the Magic Kingdom, on a slightly smaller scale with a few major differences. 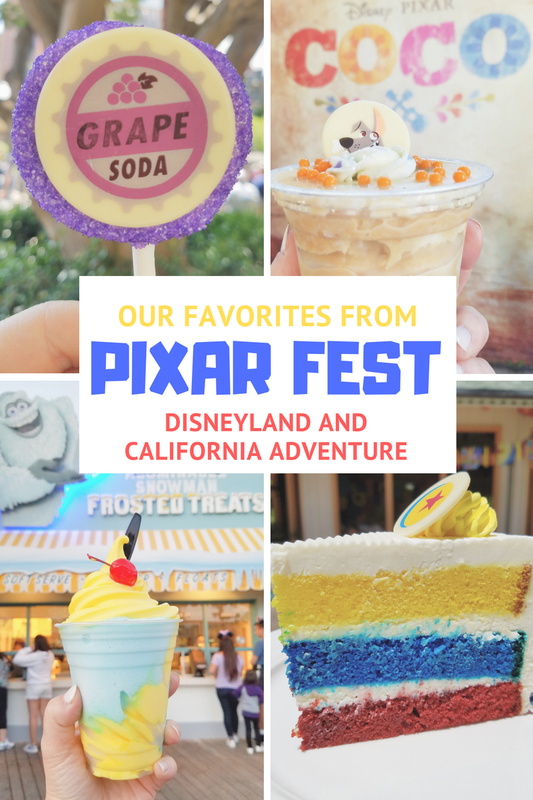 California Adventure is like Disney World’s Hollywood Studios and Epcot rolled into one with it’s own unique areas that aren’t comparable to anything else! I didn’t even know California had a Downtown Disney area, so there’s that. You go through one security checkpoint that clears you for all three parks. Security was much more intense than at Disney World. There are two Disney hotels on the property that connect with the parks. The hotel we stayed at off property, along with several other national chain hotels are located within walking distance so a car is not necessary. The Magic Kingdom has Cinderella’s castle, while Disneyland has Sleeping Beauty’s castle. I might be biased, but Cinderella’s castle wins hands down. It was really fun seeing Sleeping Beauty’s castle and it is very pretty, but not nearly as big. Disneyland has a different feel to it. 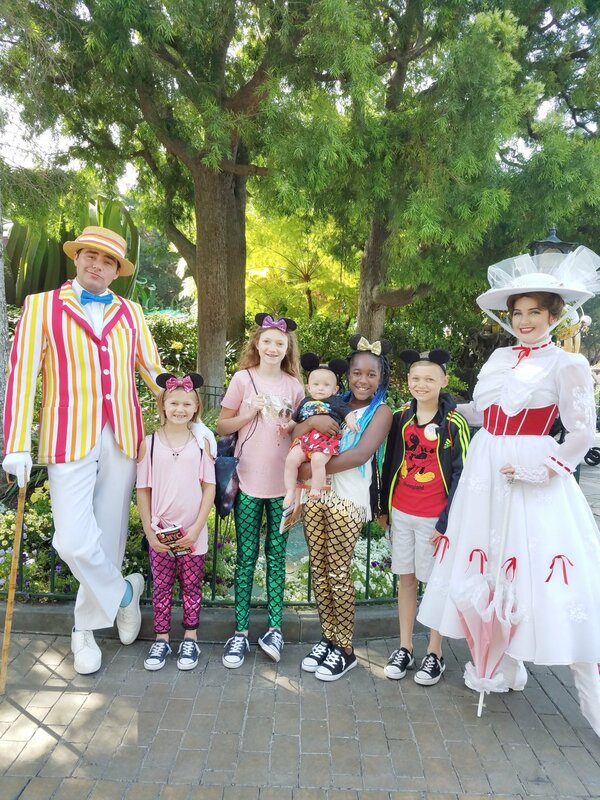 We didn’t quite get the same “warm fuzzy” feeling like we do at Disney World, but it was still magical in a different way. It was cool experiencing the FIRST park that started it all and the park that Walt Disney was personally invested in. In a way, there was a more vintage, grass roots feel to it that is hard to put into words. Smaller space. Everything is just a little smaller at Disneyland and pushed together feeling. They sure know how to utilize every last inch of space! Lines for iconic picture spots are insane at Disneyland. You want a picture at the entrance in front of the Disneyland sign and train? There’s a line. You want a picture in front of the castle? There’s a line. Rarely have I seen this at Disney World. The crowd is different. I feel like I saw a lot more adults, couples, groups of teenage girls and local pass holders at Disneyland. 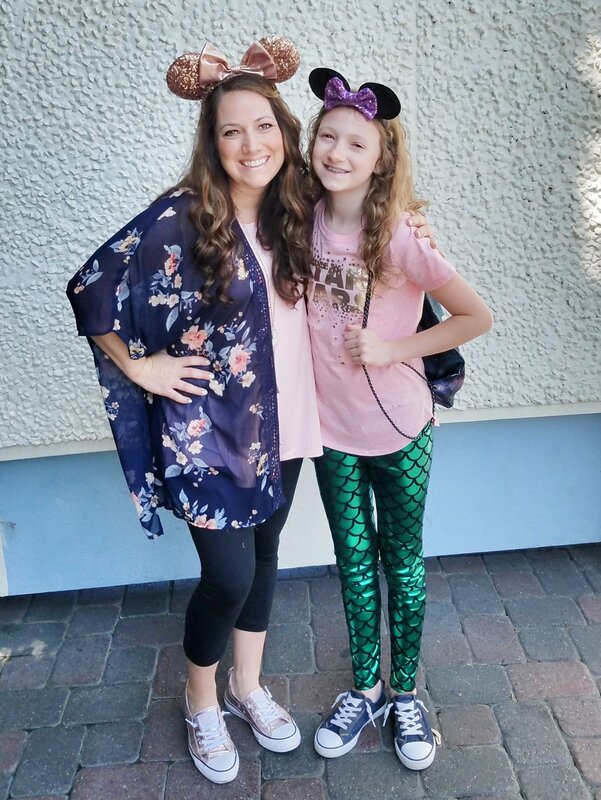 There were fewer little girls in princess dresses and more Instagraming teenagers in custom Minnie Ears and Disney Bounding attire. More construction and ride closures at Disneyland. Because of the park being older and smaller, there is more work being done to change things up and updates that are always taking place. Many of the rides and restaurants are the same, they just have slightly different names. There are no Magic Bands at Disneyland. 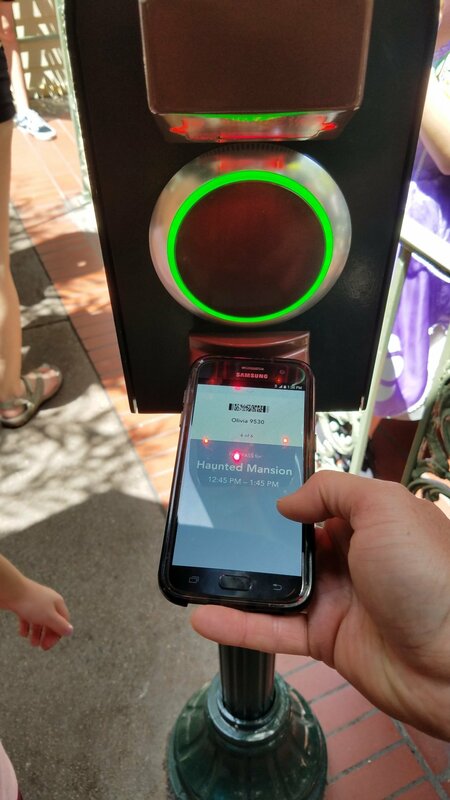 Instead, you can either pay for a MaxPass app, or pick up paper FastPass slips at each ride (for free). Star Wars attractions are in Tomorrowland. At Disney World, most of the Star Wars attractions are located at Hollywood Studios. In California, Star Wars attractions are located at the Disneyland Park in Tomorrowland, which most closely resembles the Magic Kingdom. Follow me? 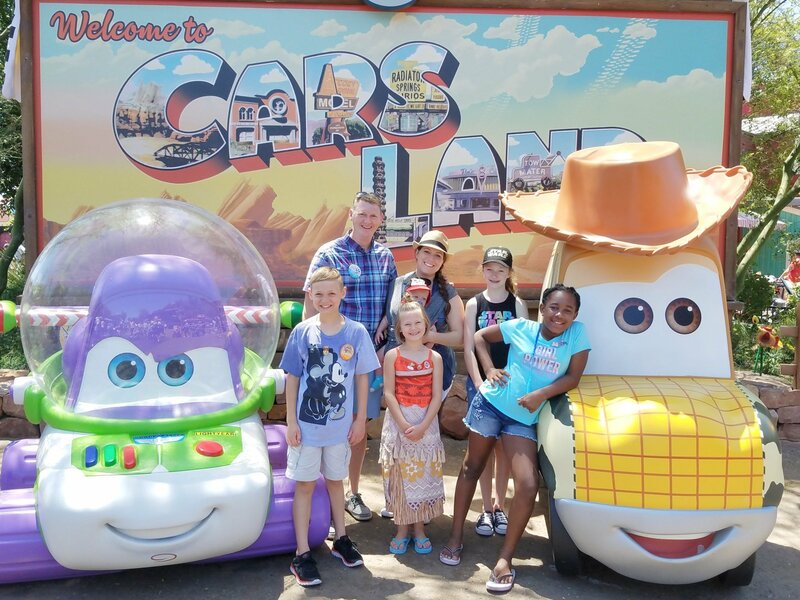 This park was the most unique experience when compared with Disney World. 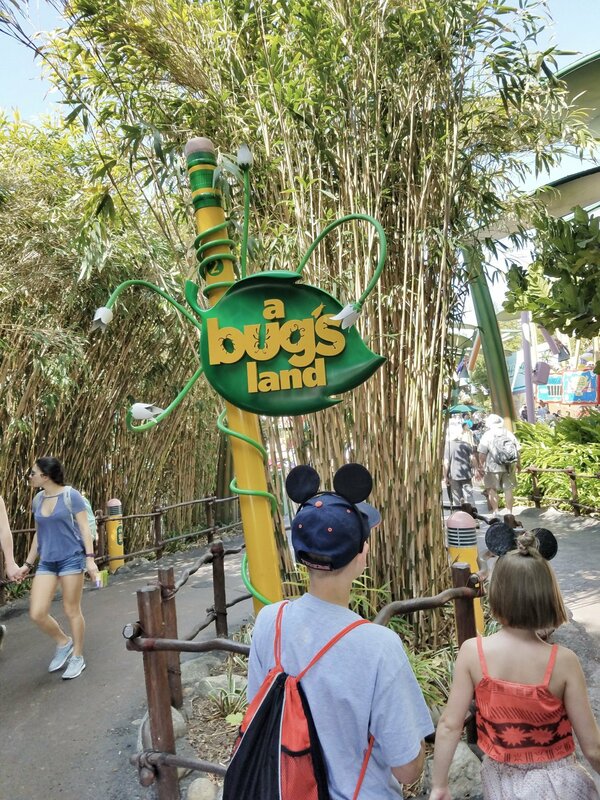 Cars Land and Bugs Land are both adorable and fun areas to explore. They’re also completely unique to California. The Pixar Pier area (formerly Paradise Pier) is unique to California and had a fun, fresh feeling to it. The kids loved some of the more “carnival style” rides. Some of the comparable aspects of California Adventure and Hollywood Studios include live musical performances and stage productions. The full, Broadway quality stage production of Frozen was phenomenal. 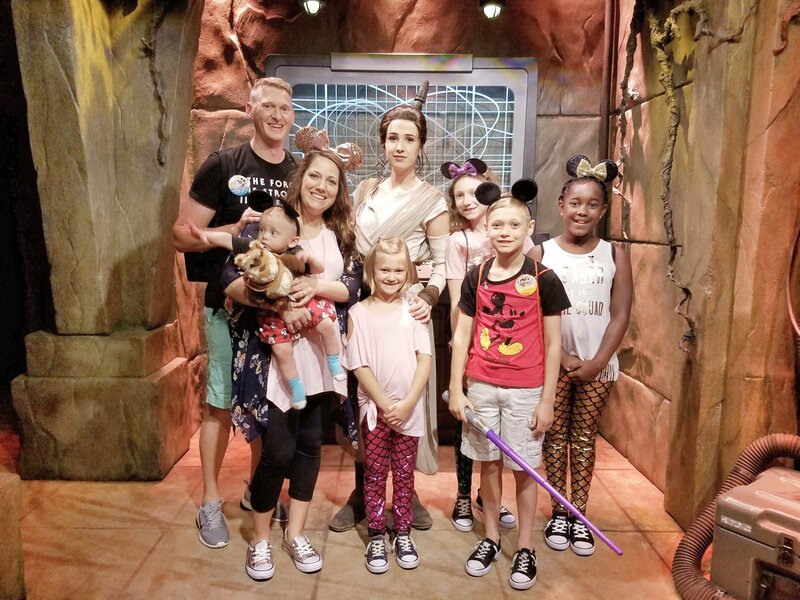 Hollywood Studios has the Tower of Terror ride, while California Adventure has converted the Tower of Terror into a Guardians of the Galaxy themed ride! 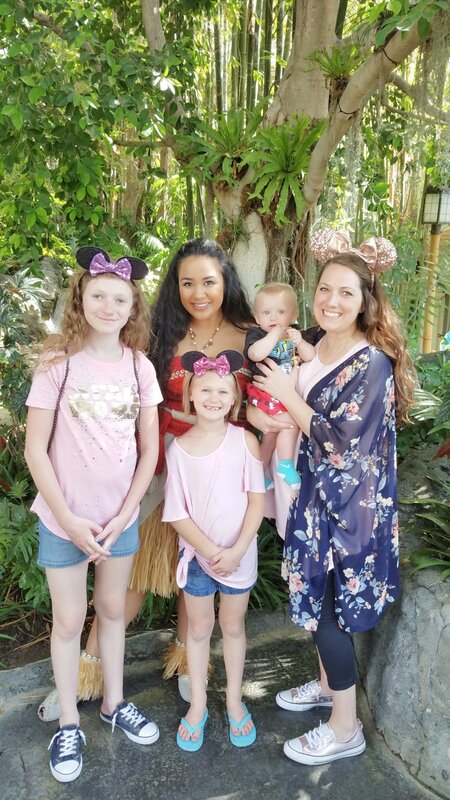 I didn’t even know there was a free, Downtown Disney area in California until we got there! I also didn’t know they had a monorail in California until we got there. Yea, I learned a lotta things. The Downtown Disney area was definitely small in contrast with Disney Springs, but comparable. It’s nice having the option of an area that is free to walk through, window shop or grab a bite to eat. 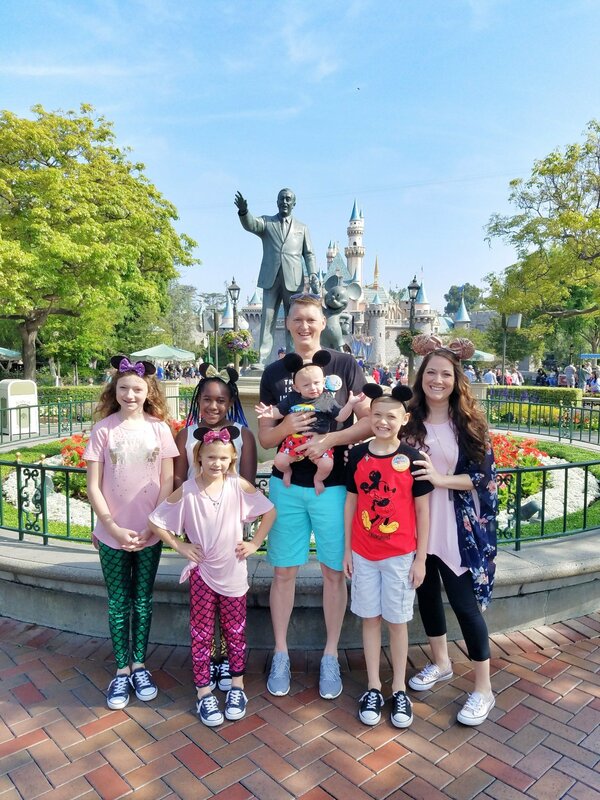 Over all, we loved our time at Disneyland and California Adventure and I would totally go back in a heartbeat! 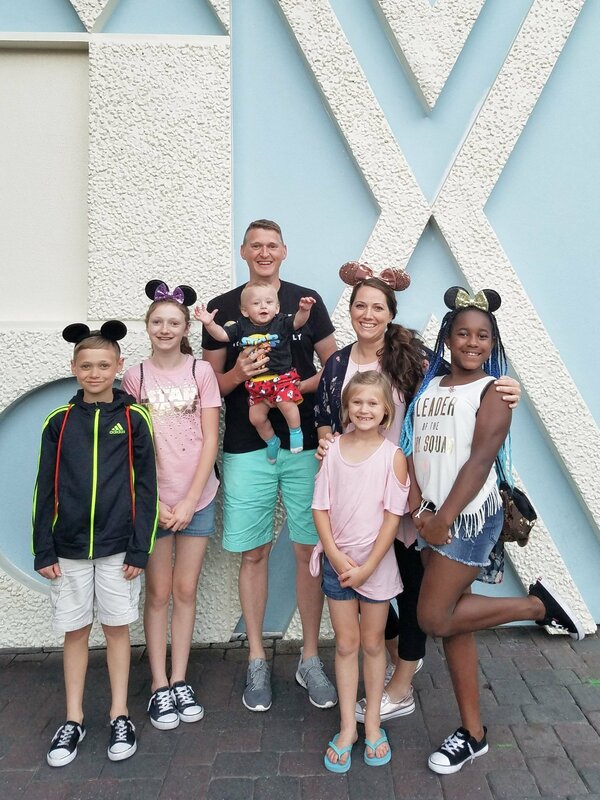 But, we are Disney World loving people, and the distance to California from Michigan makes a return visit more unlikely. 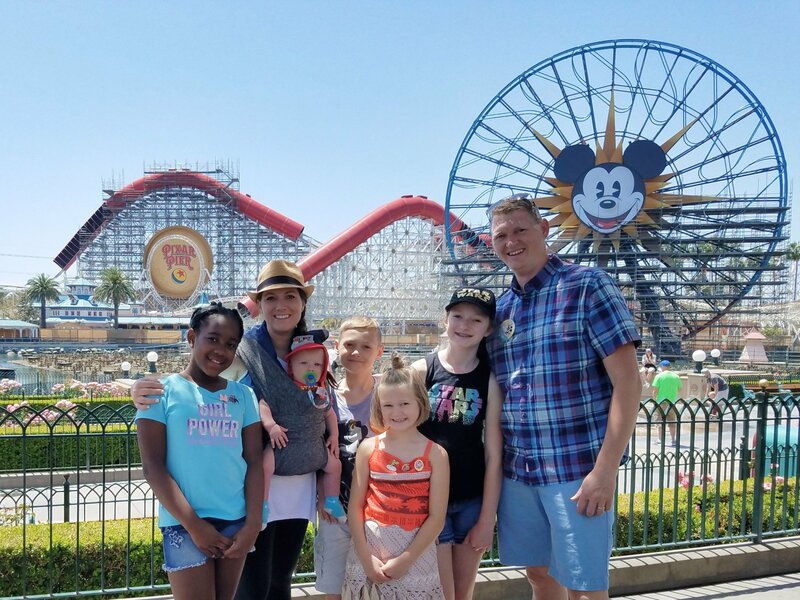 We gave ourselves 1 day at Disneyland and 1 day for California Adventure. I’m glad we did both parks. We considered dividing one day between the 2 parks and getting a park hopper ticket. I’m glad we took a full day for each park. It felt like plenty of time for us, though there were obviously rides at each park that we missed. I would also highly recommend the MaxPass. We ended up purchasing the MaxPass for everyone which allowed us to fit more rides into our limited amount of time. Spread the love and share this post on Pinterest. Next Post: Happy 1st Birthday to Asher!